Recently, Ben Zobrist opted to sign a long-term deal with the Chicago Cubs, while pitcher Johnny Cueto signed a major deal (6 years, $130 million) with the San Francisco Giants. Zobrist was considered to be a potential retention for KC and in the eyes of most fans, a must-get in terms of resigning. The looming question mark remains the status and future of long-time favorite Alex Gordon. With multiple teams reportedly offering Gordon years and dollars, the Royals are in a position of wanting to keep Gordon–a fan favorite and centerpiece of the teams success–without risking the future of the roster and the potential of signing players such as Lorenzo Cain, Mike Moustakas, and Eric Hosmer. Regardless of how much the team would like to keep Gordon, general manager Dayton Moore will not put the future of the roster in danger by locking up an aging player with a multi-year, high-dollar contract. At the end of the day, professional baseball is a business, and in reaching the current level of success, Moore has had to make many difficult decisions over the past 8 years. One could argue that Gordon not having signed with another team at this point could mean Kansas City is working on a deal with the gold glove outfielder. It was announced on Monday that former Mets pitcher, Dillon Gee, signed a minor league deal with the Royals. While Gee looks to be a continued project, Kansas City has been known to bring guys up through the ranks when they otherwise struggled to find success with their former team(s). Chris Young and former closer Joakim Soria are back next season to keep the pitching attack the focal point of the organization. Pitcher Yovani Gallardo, considered to be one of the best remaining pitchers on the market, is gaining heavy interest from the Royals, Houston Astros, and and Baltimore Orioles. KC is in need of another starting pitcher to bolster its rotation and Gallardo would do just that. It has also been rumored the KC may have at least inquired about former pitcher James Shields. 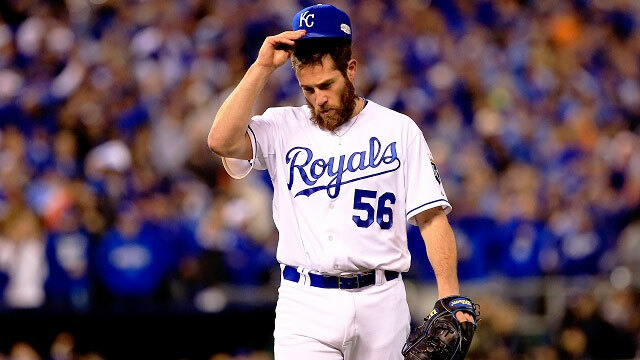 While it doesn’t seem likely Shields would return to the Royals, the organization and coaching staff are obviously very familiar with what Shields would bring to the team, particularly in the locker room. Needless to say, Dayton Moore and the front office will continue to work well through the winter to keep the roster and pitching staff among the best in baseball. With the core group of players coming back next season, the team feels strongly about their chances of competing for another championship in 2016. Spring training is right around the corner and Tickets For Less has tickets to each and every spring training game. With zero hidden service fees, what you see is what you get. Looking for a last-minute Christmas gift? Tickets to see your boys in blue in sunny Arizona is the perfect choice for friends or family. Choose from a variety of seating options and enjoy spring baseball. Visit ticketsforless.com today and Go Royals!